The sequence should be constituted only with the following nucleotides: A, T, C, G, N, a, t, c, g, n.
Single sequence mode: One sequence in FASTA file format, the first line of your file must start with ">"
The maximal size of the pre-miRNA that miRNAFold can find. This size is limited to 1000 nucleotides. The minimal size of the pre-miRNA secondary structure. The maximal thermodynamic value ?G of the miRNAFold predicted hairpin. 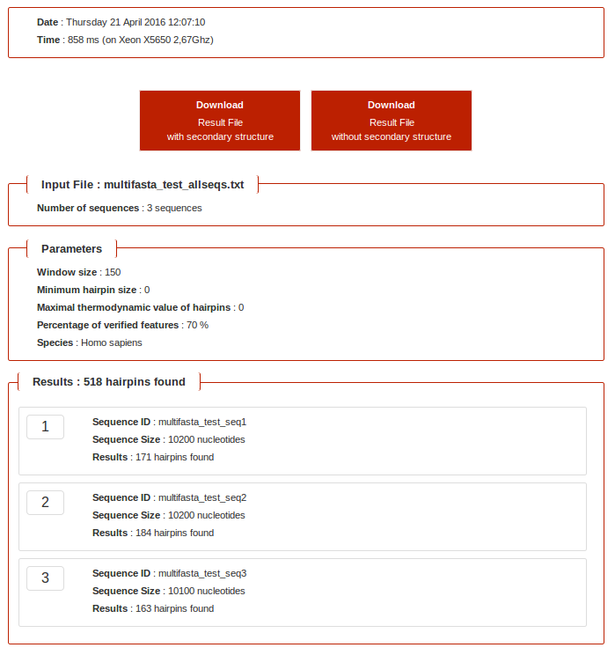 miRNAFold calculates and compares lots of values to the specie features (hairpin size, G+C percent, ...). Each feature has a minimal and a maximal threshold. "Percentage of verified features" is the percentage of calculated value between the two thresholds of a specie feature. 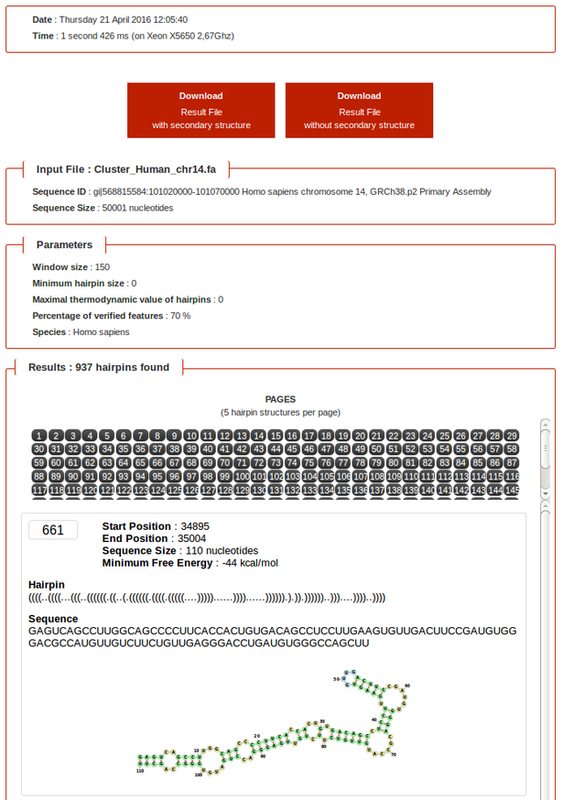 miRNAFold can be run on all genomes. Press CTRL + D on the waiting page, to access results later. NB: In multifasta mode, only size and number of hairpins found for each sequence are displayed. This allows researchers to develop hypotheses about which nucleotides and base pairs are functionally relevant.